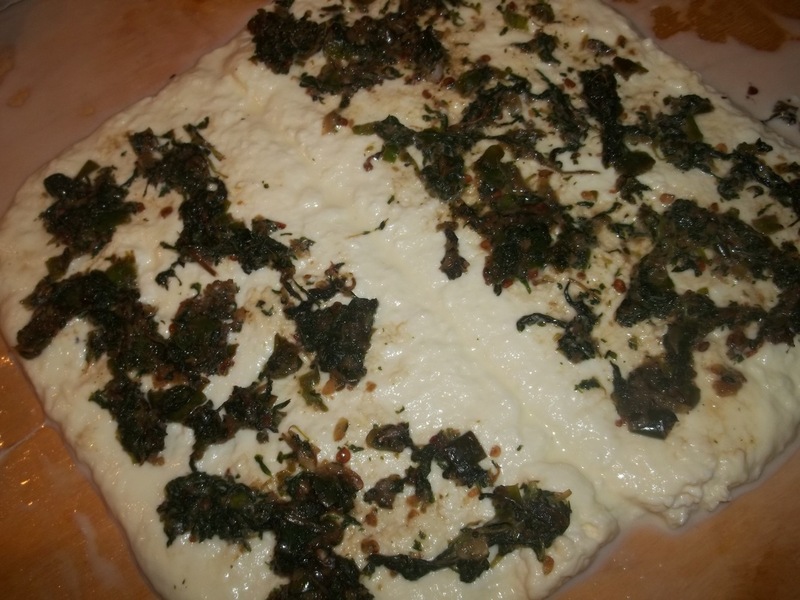 Gebzhalia (Georgian: გებჟალია) is a softened cheese dish from Georgia’s Samegrelo region. 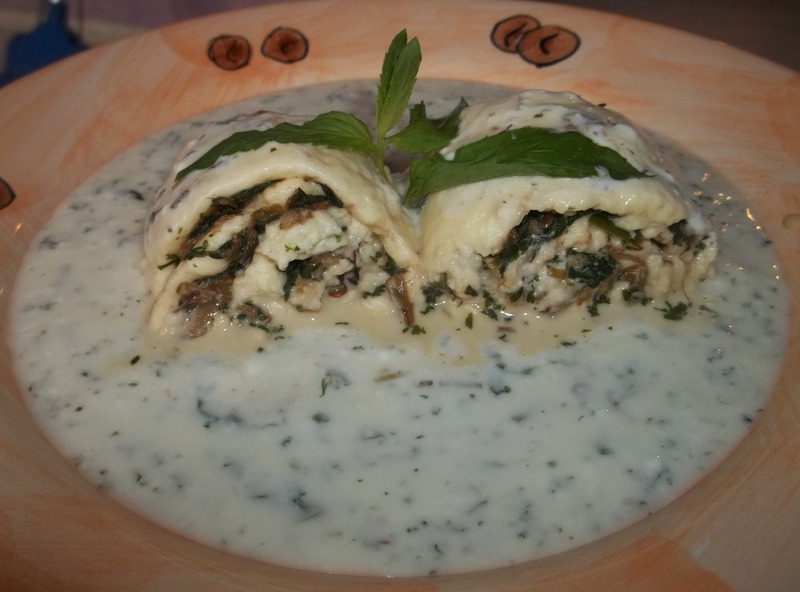 Traditionally prepared using cottage cheese, it can also be made with matsoni. 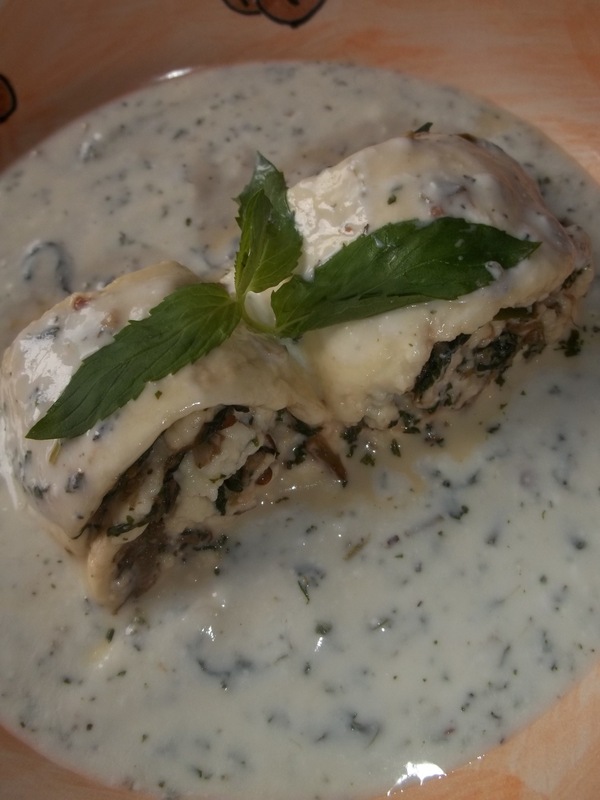 In this recipe we have used matsoni. 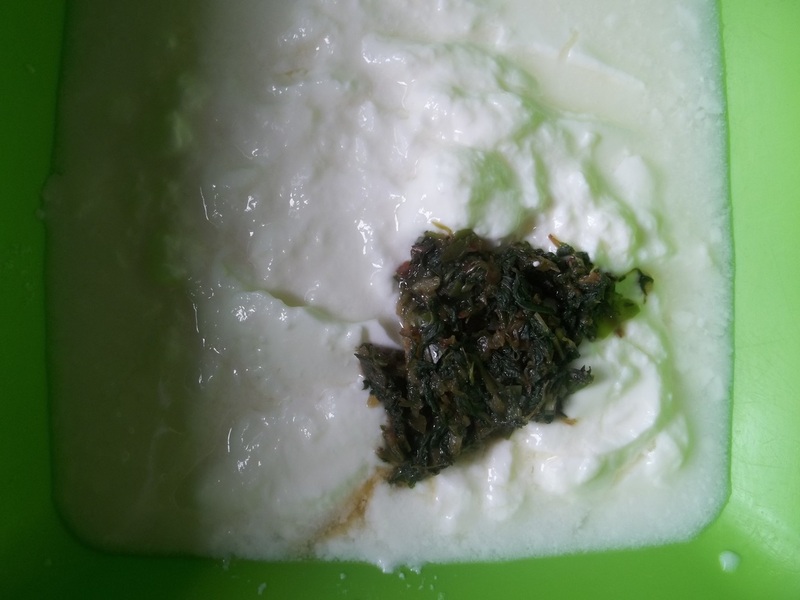 Matsoni (Georgian: მაწონი) is a fermented milk product very similar to yogurt. 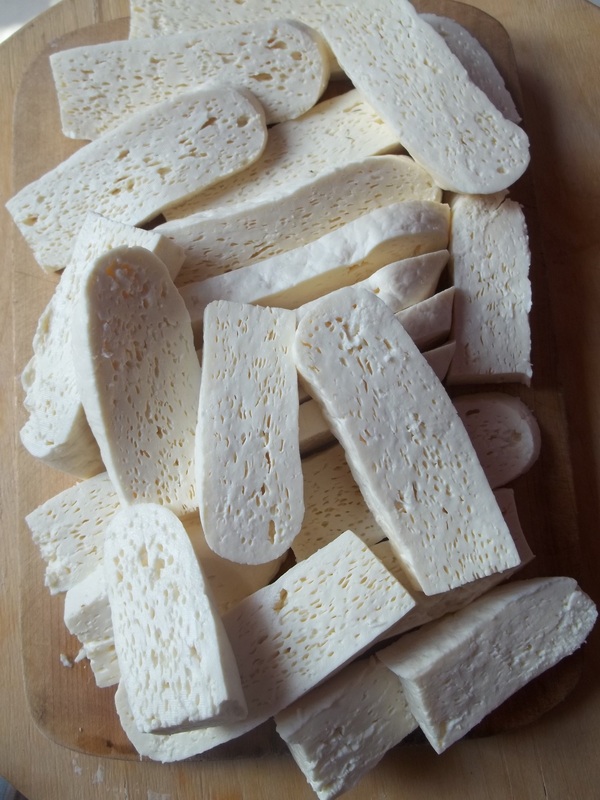 It is smooth and creamy with a mild, slightly tart flavor. 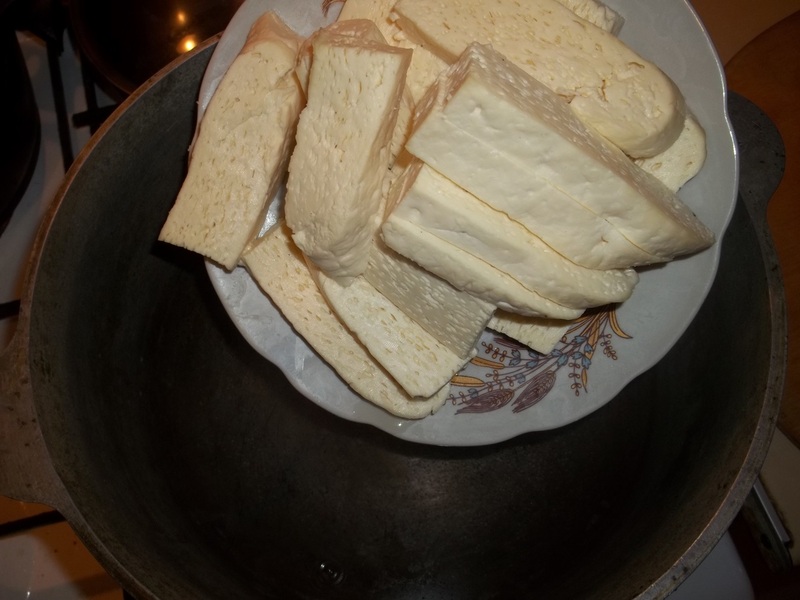 Popular in Georgia and throughout the Caucasus region, matsoni is rich in mineral content, protein and calcium and renowned for its health giving properties. 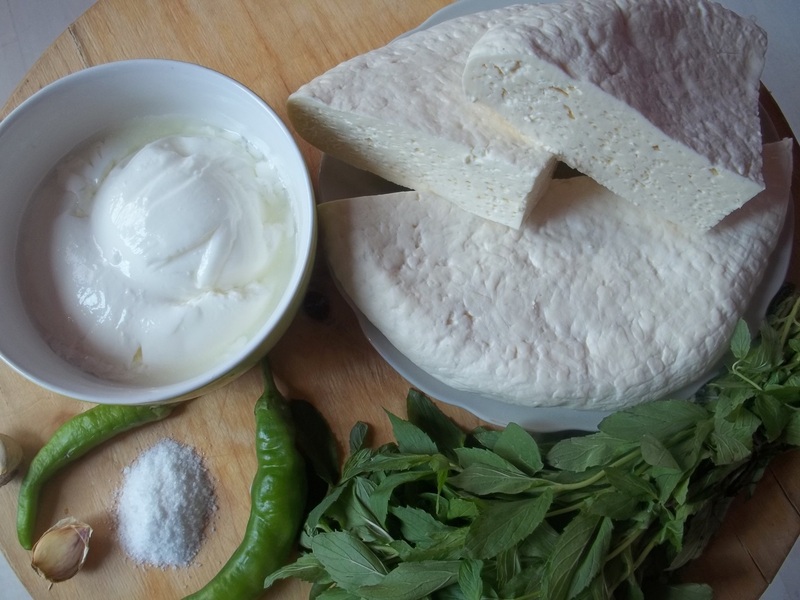 Ingredients: 1 kilo of new cheese (we used Imeretian cheese), 1 kilo of Matsoni, 2-3 hot green peppers, 4 cloves of garlic, 100 grams of fresh mint, and salt (amount dependent upon personal preference). 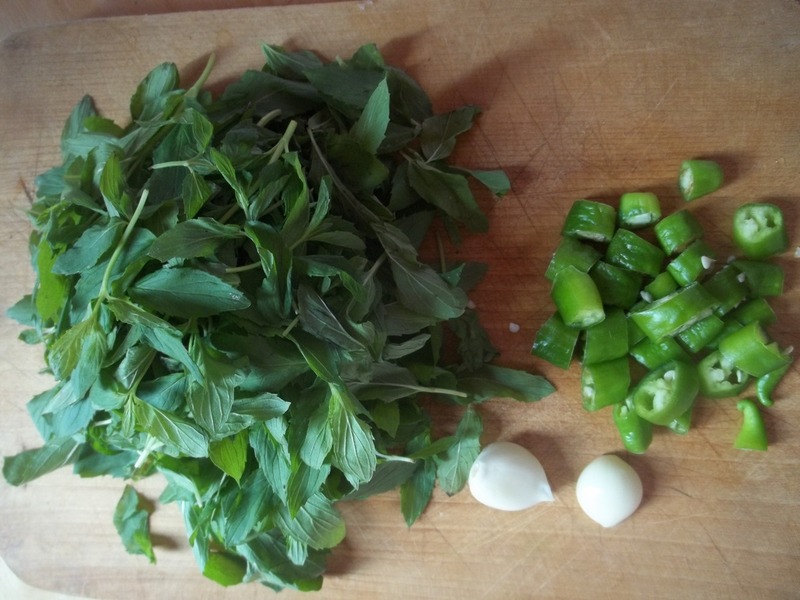 Preparation: Chop the fresh mint and green peppers and remove skins from the garlic. 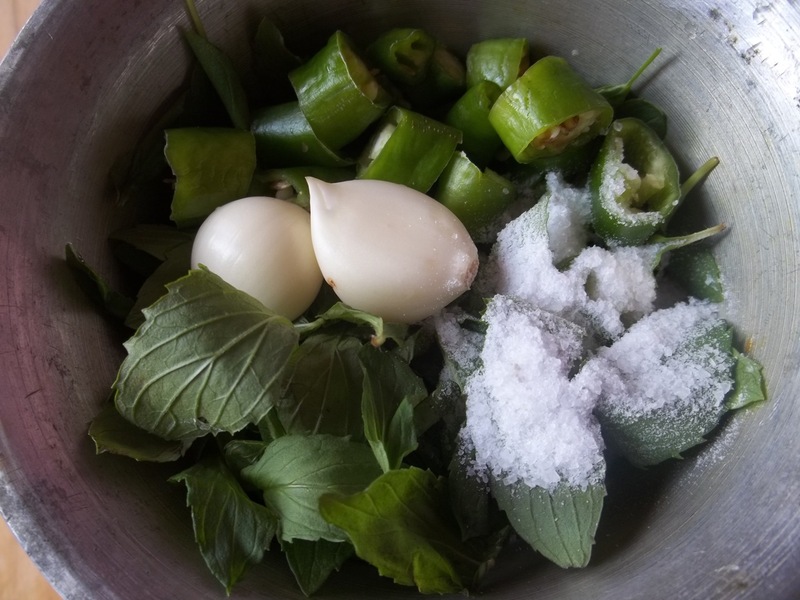 Add the chopped mint and peppers, together with the garlic and salt, to a mortar and crush together using a pestle. 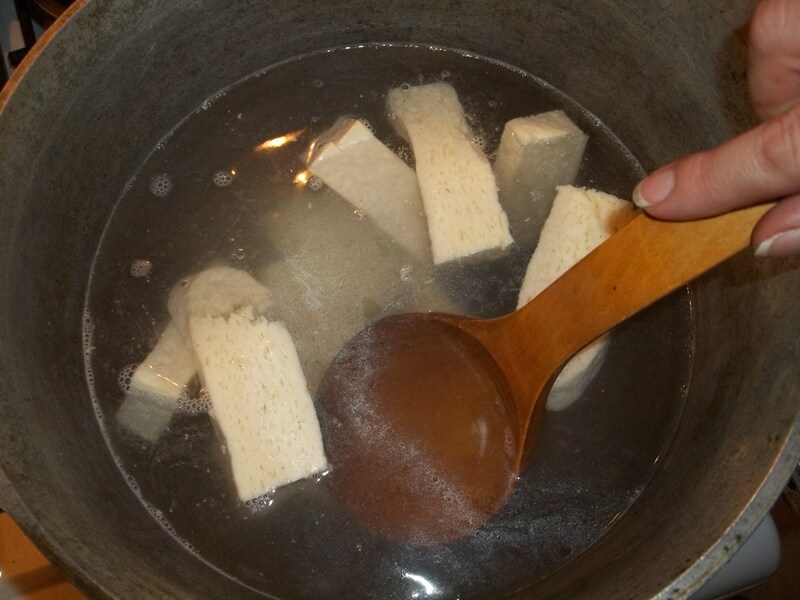 Use a wooden spoon to smash the cheese with a wooden spoon. After 2 minutes, turn off the heat and continue to smash the cheese for another 2-3 minutes until the cheese is soft and flexible. 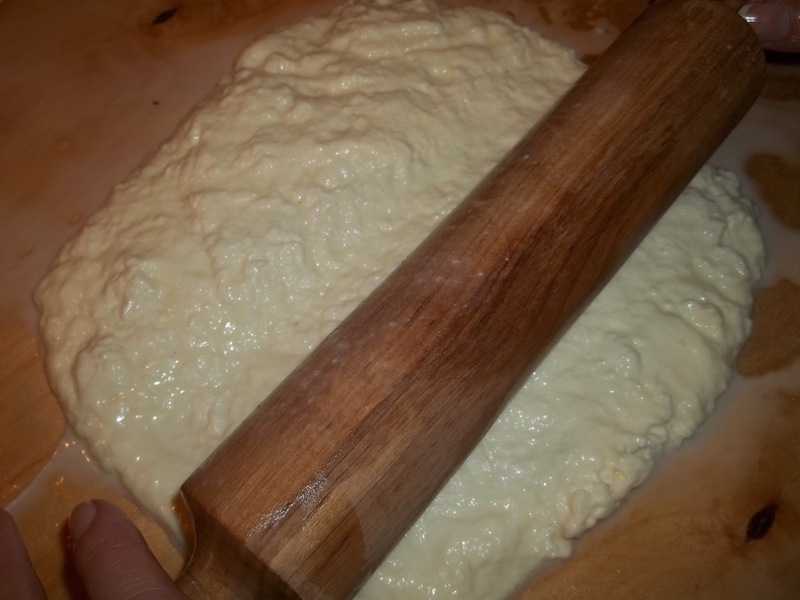 When the cheese has been flattened, use a rolling pin to roll out the cheese into a square shape that is about 5-6 mm thick. 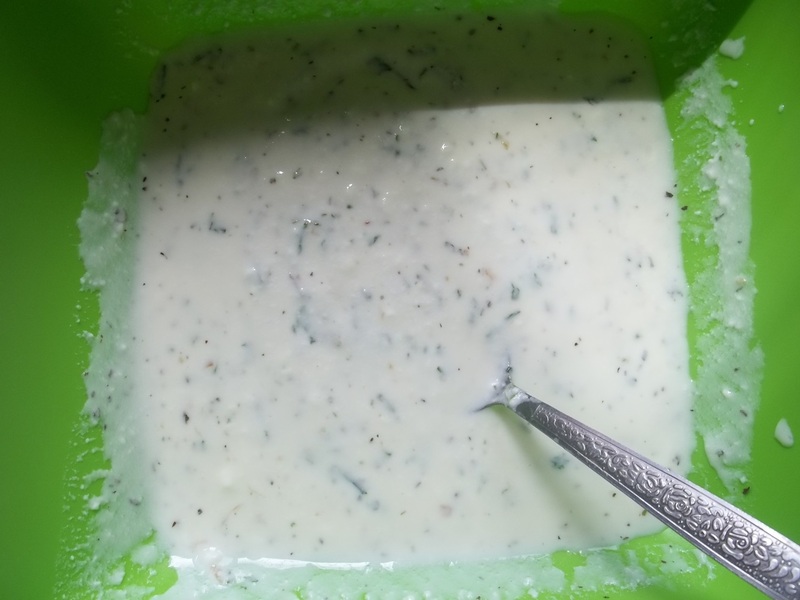 Add the matsoni to a mixing bowl, together with half of the crushed mint, peppers and garlic. 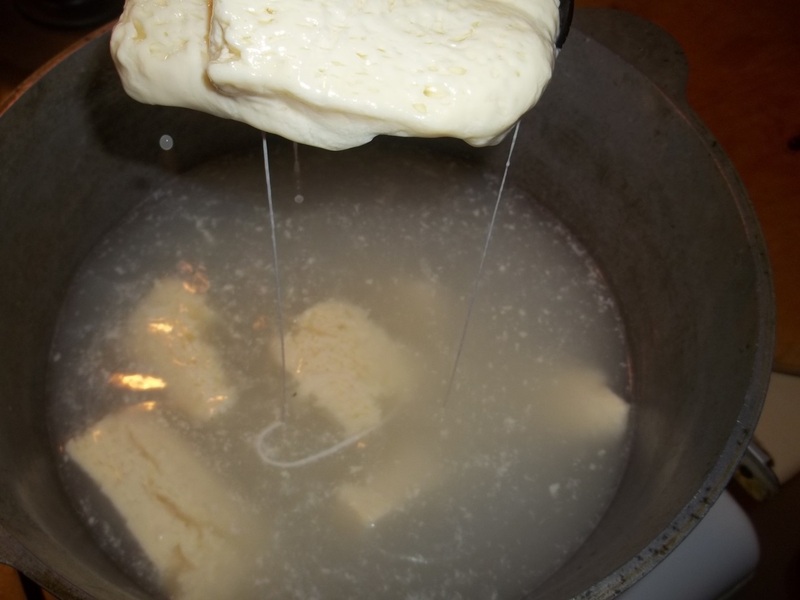 Add up to 200 ml of the water used to soften the cheese. Stir thoroughly. 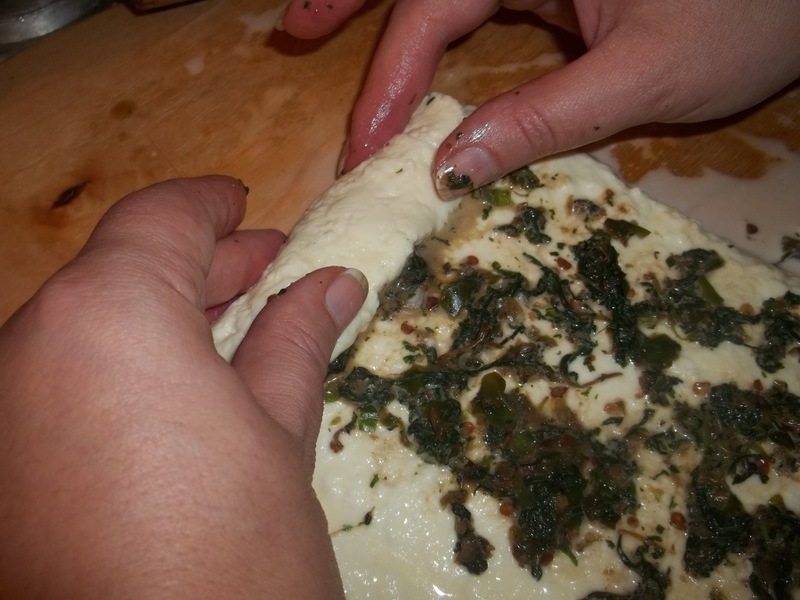 Add the remaining half of the crushed mint, peppers and garlic to the surface of the rolled out cheese. 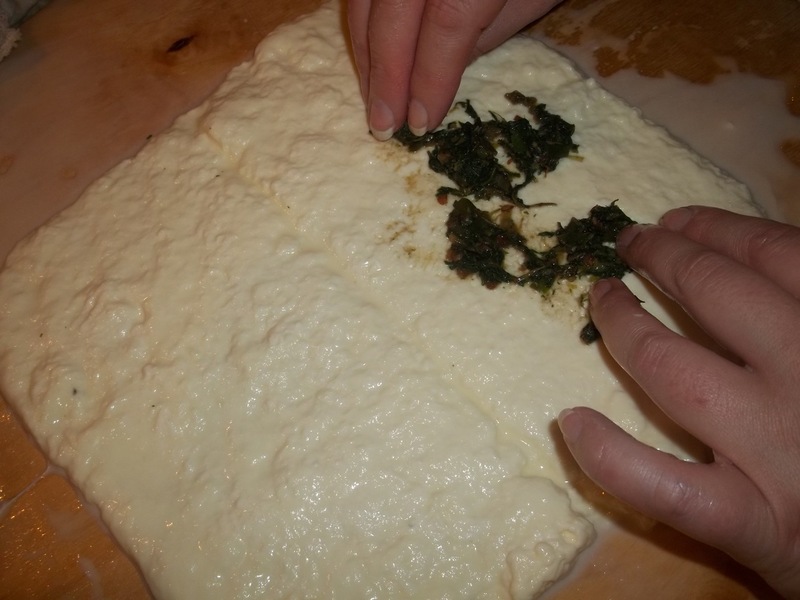 Use your fingers to carefully roll up the cheese. 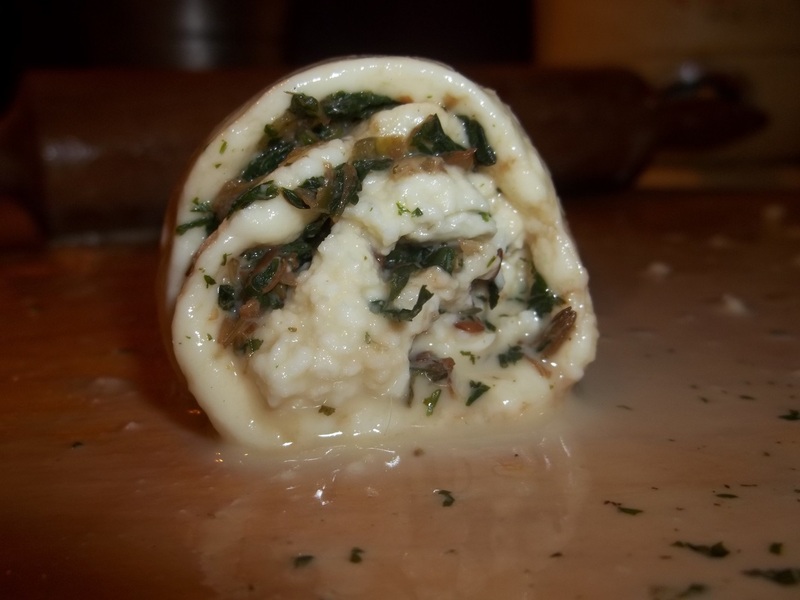 Cut the rolled up cheese into small portions. Serving: Pour the matsoni mixture over the portions and serve. We garnished ours with a little mint. Enjoy your Gebzhalia with Matsoni!